This week is part two of my reflection to a recent podcast I had the opportunity to listen to. You can find my first post here and the podcast here! 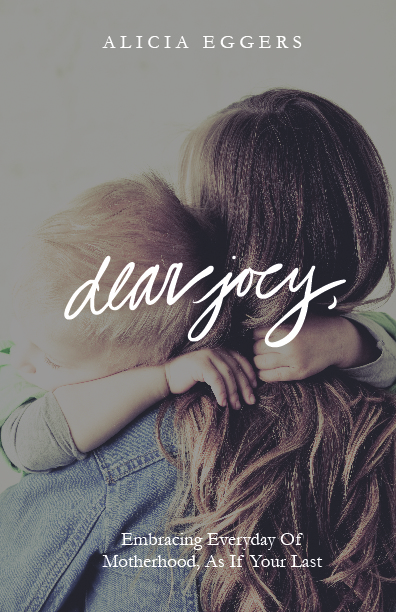 I'm hoping this will continue to be encouraging to all moms so that they can continue to fight and find joy in Christ, His word and help love others more. 1. Who you are as a Christian is more important than who you are as a mom. 2. If you're putting in here [your heart] worry, fatigue, resentment, fears, that's what's going to come out, But if every morning you're meeting with the grace-giver, you'll have more grace to pass on to your kids. 3. It will cost you something to be in the Word: It will cost you sleep, it will cost you time, it will cost you energy, but it will cost you so much more not to be in the Word. 4." I would encourage us as mothers to not let fears rule in our hearts. They will drain us; they will sap us. We'll be exhausted from those. How many times in a day do I think about the things I fear?....way too often to count. It's exhausting worrying about sometimes unrealistic and silly things. I don't want to look back on these years and find that all my energy was taken up by worrying. As it says in Colossians 3:2 we need to focus on the things above, not earthly things. When I'm focused on serving others, encouraging others and most important of all Jesus, I find I have more energy. I'm not bogged down by fear because I don't have the time. I'm spending that energy helping others and investing in the most important relationship, my relationship with Christ. 5. your children in seeing how you relate to your husband get a beautiful up-close picture of Christ loving the Church and how the Church loves Christ...If a child grows up seeing her mom totally, passionately, helplessly in love with their daddy, it gives them a security and a picture of what kind of home to build in the future. In our world today we often see husbands take the backseat to children and honestly it can be easy to put our husbands after our children. The kids are the ones screaming for more food, they are the ones crying "mommy", the ones spilling the milk on the table, the ones needing to be nursed, the ones needing diapers changed...all which require your attention. However, as said in the podcast for a child to be in the top place of mom's life is too much pressure. Thats not the position they were made to be in. Our husbands are our partners, they are the ones we need to continue to put first in our lives (after Jesus of course!) I love how Jandi made it a point to say that marriage is a close up picture of Christ loving the Church and how the Church loves Christ. I want my daughter to see her Daddy is the kind of man you want to marry. I want her to see how I love him, how he loves me. When children grow up seeing these healthy kinds of relationships they will desire that for their lives. They will see the type of home that is stable and focused not on themselves but focused on loving Jesus and serving others. We as mom's need to continue to fight to keep our identity in Christ, to seek Jesus for grace for every moment, to focus on things above and to continue to strive to keep our relationships with our husbands a priority. Gosh, it is hard but it is so worth it. Find a community of other Christians moms, help them keep you accountable. Have them check in on you, see how you are doing. We aren't alone and don't need to be! Come to Jesus, He gives you the strength we need, He has the grace, He has the power to sustain. Come to Him.